Betsafe – Game of the Week: Stickers! Stick to the reels for great rewards! Earn up to 700 Free / BIG Spins and a share of €10,200! Enjoyed the rewards on the epic Dead or Alive™ slot last week? Can’t get much better than that as the game has huge win potential when hitting a Wild Line in the Free Spins or 5 scatters. 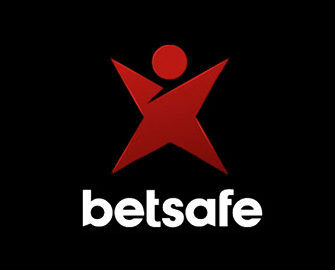 But there are more awesome slots in the Netent portfolio and for this week Betsafe has chosen Stickers, an entertaining game that can also produce mega wins as the symbols stick to the reels for a re-spin that can fill up the entire screen with the same symbol. Qualifying players can collect this week a huge amount of Free Spins and BIG Spins on this slot. For starters players can wager on desktop or mobile to earn up to 700 Free / Big Spins while at the same time taking part in a tournament where the TOP100 will win bonus cash of up to €400. 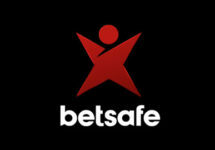 This superb weekly two-tiered campaign at Betsafe is heading into a new week full of excitement and rewards. Courtesy of the “Game of the Week”, players can look forward to up to 700 Free Spins weekly and take part in a fair tournament where the winners are determined by the highest win over 20 consecutive spins, irrespective of the bet size. OPT-IN on the promotion page and play on the game of the week with minimum €0.20 per spin. Get one of the highest average earnings over any 20 consecutive spins and finish in the TOP100 for a share of €10,200 in bonus cash. This week’s tournament will end at 23:59 CET on 17th September 2017 and prizes credited the following day as bonuses with a 35x wagering requirement.